Regular readers will know that a group of enthusiastic folders have made a number of weekend excursions into Wales and other parts of the UK in the last couple of years (see Welsh Trains Ride, Welsh Trains Ride 2 and Mon & Brec ride report [Click here to download the zipped PDF file]). 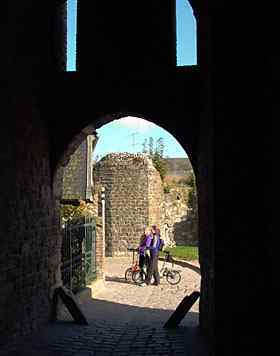 During the Welsh Trains Ride 2 it was suggested that we might try venturing further afield, and that as one of our number, Tony Hadland, had taken a folder to France in the not too distant past, he should be 'persuaded' to organise another trip there for our group. Happily Tony was willing to do this, and soon emails were arriving giving details of the plans, which, in view of the travelling involved to get there and back, were extended to cover Friday 4th October to Monday 7th October 2002. 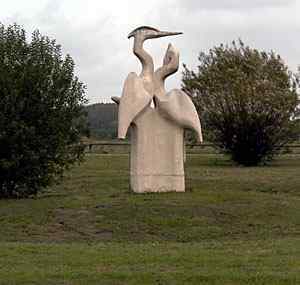 For this outing, the group would consist of Tony and Rosemary Hadland, Dave Minter, Susan Barlow, Paul Evans and myself. 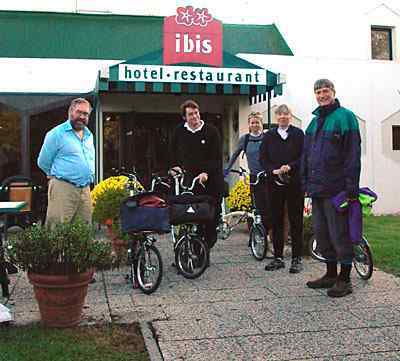 All of us except Rosemary own Bromptons (amongst other bikes! ), and she has a Micro, so suitably compact folders for taking on the various trains were available, and for a trip of this kind were greatly to be preferred over any other machines. 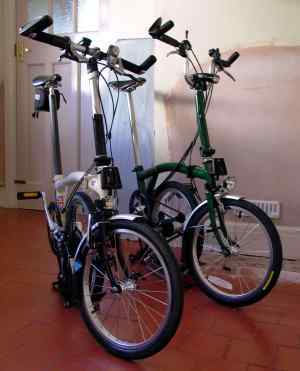 In my case, the fact that a Brompton was the recommended make still left me with a decision to make - the old T5, the SP or the T6? The T5 was eliminated from the decision process fairly quickly, as it really has no advantages over the other two, and is now in retirement - retained for sentimental reasons. The SP scores over the standard T6 in virtually every respect, but the limitation of a Primo tyre on the rear (there is insufficient clearance for anything else) does make for slightly greater vulnerability to punctures, cuts etc. In the event, both bikes were prepared a few days beforehand and lined up ready for a last-minute decision! Since the same luggage would suit both, it was really easy to leave the final choice until I left the house on Friday morning. Photograph: SP and Brompton T6, lined up awaiting a final decision on which to take. All the complicated preparation had been done by Tony, who had sorted out train times, booked tickets and accommodation, provided instructions etc. For a relatively short duration outing involving quite a lot of train travel, the Bromptons were ideal, and only light luggage to fit in a single Brompton bag was recommended. Items in the Brompton bag included a cover for the Brompton (essential to avoid any possible problems in carrying the bikes on the train), a simple tool kit, plenty of spare tubes (we have had unfortunate experiences with punctures on several of our previous trips! ), clothes and one spare tyre between us (a Primo Comet, which will fit any of the bikes, including the rear of the SP). Of course in my case I felt compelled to take rather a lot of additional paraphernalia in the form of a (digital) camera and palmtop computer (pocket PC plus folding keyboard), to enable this report to be prepared during the trip. Unfortunately this modern electronic gadgetry nowadays nearly all uses proprietary rechargeable batteries, and assumes that you will be able to recharge once a day - gone are the days when batteries lasted several days or weeks, and only involved popping in another set of standard AA or AAAs. Hence my luggage also had to include bulky and heavy rechargers for both these devices, plus a suitable plug adapter for use in France. 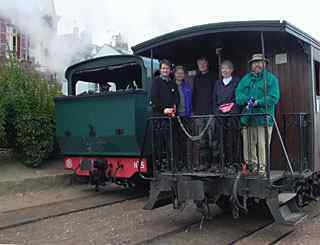 This group's rides usually includes some engineering theme in its outings, and this one was to include a steam railway. As we were not certain whether we would be able to take the bikes on this train journey, locks were also a requirement, and I added a hefty U-lock to the usual light, compact, but not very substantial, cable lock which I usually carry. With the shortening days, and the time difference between the UK and France, lamps were essential. The T6 of course has a dynamo lighting system, but the unreliability of these systems (the front lamp on the T6 has already failed to operate once r, resulting in a good deal of fiddling with the cables and connections) meant that I put back-up battery lamps on as well. The SP is fitted with LED lamps front and rear, both of which use 2 AAA cells which will last for many hours, so no problems were anticipated here. We had arranged to meet at Birmingham New Street station to catch the 08:45 Virgin train to London. With a new Winter timetable in effect on the Wolverhampton-Birmingham-Coventry local train service, trains now only stop at my local station every hour instead of every half hour. This has disrupted my normal early morning journeys to the university, forcing me to ride to Dudley Port to be able to catch the first train - not much further, but on much busier roads. Unfortunately, for this outing I needed to catch the second train of the day, which also does not stop at Tipton. We all met in the restaurant at New Street well before the train was due to depart, and partook of some refreshments before going down to the platform. Our train was about 15 minutes late departing, but caught some of this time up by the time it reached Euston. We decided to take 2 taxis to Waterloo, rather than struggle with the Underground or cycle. This gave Dave the opportunity to achieve a lifetime's ambition by instruction our driver "Follow that taxi!". We only had a short wait at Waterloo before boarding - we were able to stow the bikes at the end of the carriage, though there was not all that much spare space after we had fitted our 6 machines in amongst luggage which was already on board. The Brompton front bags fitted nicely on the overhead racks over our seats. 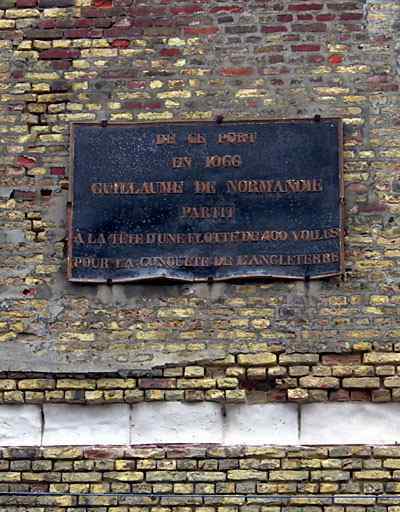 The train trundled its way to the tunnel, but on emerging in France the speed picked up markedly all the way to Paris, with just one stop at Calais. Arriving on time in Paris, we had a short wait before our express to Abbeville left - just about time to walk round the block! The ride to Abbeville was accomplished with no dramas on a very full train, and it was still light when we disembarked at 18:45 local time (1 hour ahead of the UK). Throughout our journey, the weather had been bright and sunny, with blue skies and attractive clouds. The short cycle ride to our hotel was punctuated by a few stops to check the map, but we made it without any accidental excursions. With the splendid weather continuing, there was no need to hurry though, and we enjoyed the evening sunshine. On arrival at the hotel, we were allowed to park our folded bikes in an office. In view of the time and the light, there was no question of starting our cycling this evening, so it was just a case of a quick wash and a change of clothing - we all donned our special event T shirts which Tony and Rosemary had very unexpectedly and very kindly and created - before we met for our evening meal and drink. Needless to say, the conversation over dinner included a good deal of discussion of cycling, even including a few ideas for our future trips. Most of the cycling distance we covered during the day was in England - by the time I had reached the hotel my total distance was only 7.5Km. With the time in France being one hour ahead of the UK, it was dark until after 07:30, so there was not much point in getting up and thinking about a ride or walk before breakfast (that's our excuse for lack of any early exercise!). 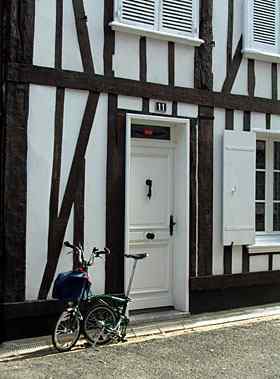 Looking out of the window first thing, the weather looked promising, so our plan to ride out to the monument in Crecy Forest was activated. After a good breakfast we left shortly after 9:00, riding back into Abbeville and then out via pleasant lanes and in beautiful weather to the forest. 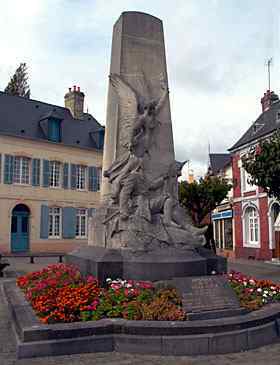 The English defeated the French at the battle of Crecy, so of course there is nothing to mark this event, and the monument we were visiting commemorated the first World War. It was just before we reached here that Susan suffered a puncture, fortunately in the front Brompton tyre rather than the rear. Dave stayed to fix it, while the rest of us rode on to the monument and waited for them to catch up. 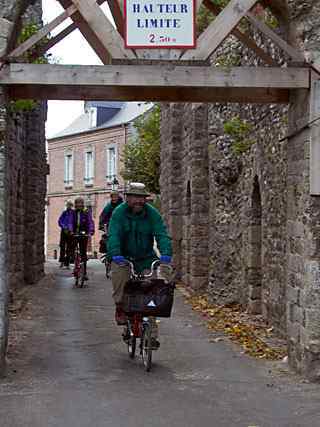 The weather was excellent, and we were all feeling good, so we decided that we would all ride on along some of the delightful roads through the forest, and then via a rather indirect, but quiet and picturesque route to Rue. 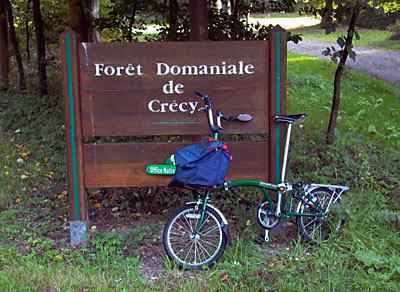 This included an off-road stage of 1-2Km - rather slow and rough going, but quite passable by both the Bromptons and the Micro. 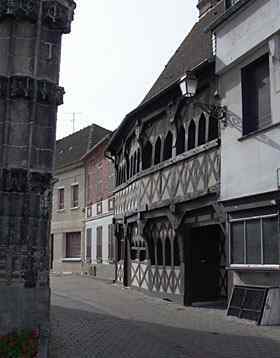 Photographs: We stopped in Rue for lunch, basking in the sun at a small restaurant near the museum. After lunch and a brief look round the museum in Rue, we decided to make our way back via Madagascar (a nearby town). We went slightly astray on our route near Crotoy, but in many ways this turned out to be for the best, as we got on a really excellent cycle path which ran parallel to the main road - it was beautifully tarmaced, and with a following wind we were able to really sprint along for many kilometres. Near Crotoy we had heard a steam train whistling; the steam railway was our planned destination on Sunday, and we had understood that it would not be running on Saturday, but we decided to make a detour to investigate. Near the station we encountered two British Moulton and folder enthusiasts, who had been to the station, and were able to fill us in on the fact that the train that day was a special. 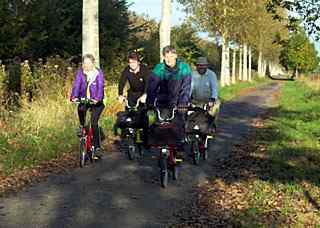 After a brief chat with them, we resumed our ride along the cycle path until we reached the end, on the rather busy D40. As time was marching on, and we were a bit concerned about the lack of lights on some of the bikes, we decided to follow the D40 back into Abbeville, rather than go across country using quieter roads. The cycle path had ended by this time, and the final stretch of the journey into Abbeville was not particularly pleasant, though we were able to maintain a reasonable speed, and in fact got back to Abbeville in time for Dave and Susan to take a brief look around the town while the rest of us rode straight back to the hotel, arriving at about 18:00. The distance covered during the day was 79Km - we were all pleasantly surprised how easily we had achieved this distance, to which the fairly flat terrain no doubt contributed. For some of our group it was their longest ride of the year so far, and Rosemary in particular deserves congratulations on completing such a long ride on a Micro. 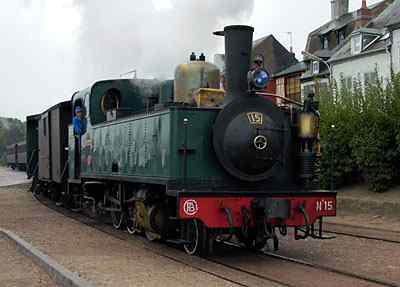 The plan for Sunday was to visit the Baie de la Somme steam railway, on what would be, according to their web site, the last day the trains would be running this year. 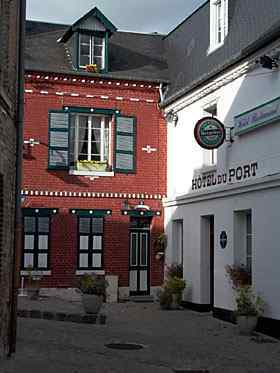 This called for a fairly early start, so we met at 07:30 for breakfast in the hotel, and left at 08:30 to ride to St Valery. We had a little difficulty near the start of the towpath with the route, but were soon bowling along the well surfaced path alongside the very straight canal at a reasonable speed, though a headwind made meant that we had to keep working all the way. Towards the end of the towpath we also had some light rain - enough to warrant donning waterproofs. As we approached St Valery we came to a station, but it turned out not to be the starting point for the train, nor did the train stop there, so we hastily continued into St Valery, as time was getting a bit short. We then reached what seemed to be the start point, complete with carriages, sidings and even a station -locked. However, it turned out that we had to go another 300m to a small shed on the quayside, which was where tickets were on sale and the train journey actually started - what appears to the main station is not even a stop for the train, and we seemed to be in the majority in making this mistake. Fortunately we reached the real start in good time to buy tickets and photograph the train as it arrived, and the engine ran around the carriages ready for our journey. The train was equipped with a good sized box van, and as it came in the guard (a very attractive young lady) motioned to us to bring the bikes to the van, where she stowed them for us for the duration of the journey. I imagine anyone arriving with a full-sized non-folder would have no trouble having it carried on the train for their journey. Although this is a steam-hauled narrow gauge railway, much of the track is dual gauge, with standard gauge rails outside the narrow gauge ones. The standard gauge rails show little sign of use, although when we passed the work sheds there were standard gauge wagons and ballasting equipment there. The locomotives and carriages, although narrow gauge, seem built more to the scale of standard gauge. We managed to get on at the engine end of the train, and the outside access platform allowed several of us to enjoy the trip right next to the engine to the turnaround point, a journey carried out without any stops. 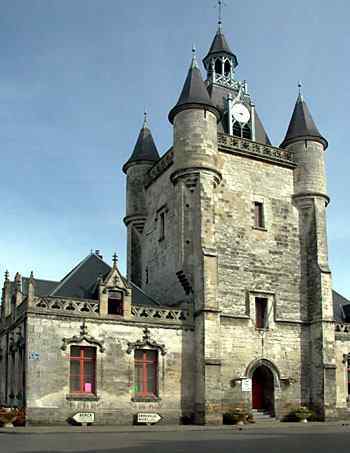 Here there is a stop where the engine runs around the train again for the next leg of the journey to Le Crotoy. There was time to get off and take a few pictures, and for some more passengers to join, before the second stage of the journey. The line from here To Le Crotoy was all narrow gauge only, and the quality of the line did not seem as good as on the first stage. 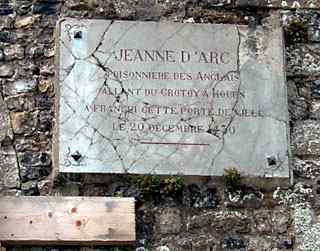 Throughout both the first and second stages the journey was almost entirely in marshland and countryside, with little sign of habitation. However, we did find ourselves running alongside or near to some of the roads we had ridden the previous day, and we also crossed the cycle path - where there were automatically operated crossing barriers. At Le Croy the engine ran around again, and there was a brief stop, and some passengers joined the train for the return journey. As we finally approached St Valery again it started raining quite sharply, but fortunately this was short lived, though the temperature was certainly quite cool throughout, and on arrival our priority was to find somewhere to eat and get warm. After negotiating some rather rough and slightly slippery cobbles, we located a restaurant, which served just about any Moule recipe you can think of - and nothing else! Mercifully when I asked just for frites, they did offer a couple of options which satisfied my needs (moules do not appeal). After the meal we decided first to ride along a track by the coast and then look at the town. Towards the end the track was rather sandy and hard work, but to make up for our exertions, just as we reached the end a red van came tearing onto the beach towing a boat on a trailer, and with klaxons blaring and blue flashing lights, and we were treated to the spectacle of a rescue boat being launched. After this excitement we retraced our route a short distance, and then made our way up a steep and rather rough track to the top of the town - all except Dave decided to push rather than ride this section. 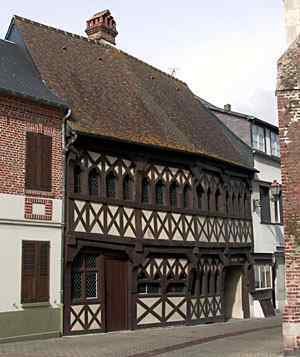 St Valery is a very attractive town, and we spent an hour or so looking around. Our return journey was simply the reverse of the outward one. Apart from the fact that it gave us our only chance to use our lights - they all performed as they should - for the short ride from the hotel to the station before 06:00am, the journey was pretty uneventful. Our train from Abbeville to Paris Nord arrived and left on time, though a period of slow running meant that we arrived in Paris about 10 minutes late. However, we had over an hour before our train to Waterloo, so there was still plenty of time for breakfast. 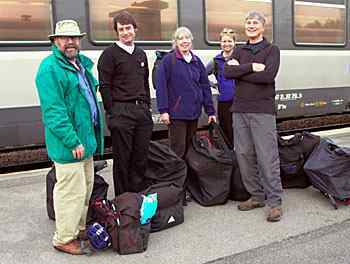 This time we managed to be amongst the first into our coach, so that it was relatively easy to stow the folders - the train was very full, so had we been later, squeezing the bikes in might have been more difficult. The journey back to England was uneventful, though Paul unfortunately lost one of the walkie-talkies on the platform at Waterloo. Taxis took us from Waterloo to Euston, where we had time for a meal before catching our train back to the Midlands. 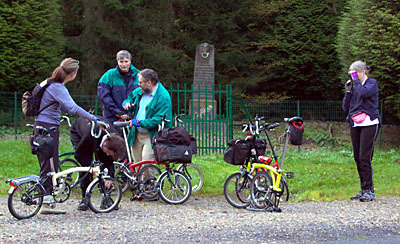 Four of the Brompton riders were using Brompton front bags (Susan and Dave had all their luggage in Dave's touring bag, and Susan also had a small back pack) - Paul also had the larger touring version of the bag, while the others used the standard bag. 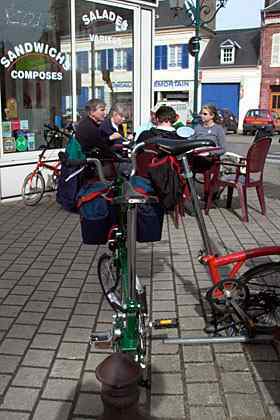 Three Bromptoneers had the current standard Brompton cover, while one (Susan) was using a Dahon bag which allows the bike to be carried on the back and folds into a small pocket mounted on its outside. The final Bromptoneer (myself) was using an A to B Pertex cover. Rosemary had a small back pack for luggage (and Tony was NOT carrying any of her luggage in his Brompton bag - apologies for my assumption in an earlier version of this report, actually based on the size of the back pack rather than any PI-C assumptions!) and a bike bag (of unknown origin) with a shoulder strap for the Micro. Most of us had a minimal tool kit plus spare tubes - all the bikes had Schraeder valved tubes, though my spares were Prestas, as I prefer these, and will replace the original Schraeders when a puncture requires it. Dave and Susan had the original Brompton pumps - after Susan's puncture they intend to replace these with the far superior Zefal model used on the Mk 3 Bromptons. We had one spare Primo tyre with us for the trip, although we did not take this out on the Saturday and Sunday rides. Apart from teh one puncture, we had no problems of any kind with any of the bikes. The T model Bromptons all had dynamo lighting - Dave and Susan had replaced the original dynamos with Nordlichts, and I had battery lighting as well as the dynamo, since I have no faith in dynamo systems. Paul, Tony and Rosemary had battery lighting systems. The lights were really only needed for the early, short ride on Monday from the hotel to the station, although some riders used them briefly on the final stages of the Saturday ride as well. A variety of locks were available, which we took with us on Sunday in case we had to leave the bikes behind while we went on the steam train ride - unfortunately not everyone took the keys as well. We had three cameras between us - Rosemary had a Minolta APS camera (which rewound a new roll of local film on Saturday - subsequently confirmed to be a film rather than camera fault), I had a Leica Digilux 1 with 128M and 64M memory cards, plus a charger to revive it each evening, and Dave and Susan also had a camera, though I never saw it used. The SD memory cards of the digital camera provided space for about 110 pictures at highest JPEG resolution, but this proved insufficient, and I had to resort to storing pictures at lower resolution and higher compression towards the end of the ride on Sunday. Limited storage capacity and the need to keep recharging are real drawbacks with digital cameras when used for more than a day out. I also had an HP Jornada 568 PDA and folding keyboard to allow me to prepare this report during the event - it also served as a music player, provided 6 books, distance log etc. This too needed to be recharged a couple of times, but it was very useful to enable me to keep on top of the report, and for some entertainment on the outward and return journeys. Paul took a couple of Walkie-Talkies so that we could keep in touch if the group split up, though as we stayed together the whole time, they were not used. Sadly one of these came to a bad end at Waterloo on the way back, flying out of Paul's bag and under the train. We did not see many other cyclists during our travels. The reaction to the Bromptons and the Micro was sometimes stronger than in the UK - I guess the French are less accustomed to such advanced machines. 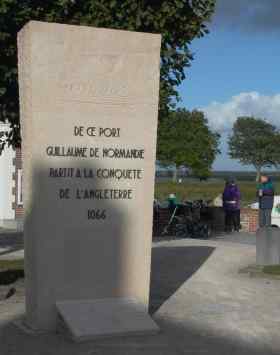 Although we couldn't usually tell what was being shouted at us, it usually seemed to recognise that we were from England! The bikes performed perfectly - just one puncture and no mechanical problems. The compact folders came into their own for the train travel, and proved no restriction on Saturday and Sunday, when we went out riding. The front bags of the Bromptons proved perfectly adequate in terms of capacity for 3 nights away. I certainly took more equipment than I needed - I actually had a large shackle lock as well as a lighter cable one: I never used the former, and only used the latter briefly at a lunch stop. I accidentally carried a spare pump as well - packed as the pump I keep on the SP is not very good, but the standard Brompton one on the T6 is more than adequate. After our previous experience on our group rides we had a huge number of spare tubes, but only needed one - better safe than sorry though! The presence of a spare tyre was also reassuring, even though we did not take it out on the day rides, and we did not need it. I don't really regret taking the digital camera, as opposed to a conventional film camera, but the limitations of battery power and memory card capacity certainly made themselves felt, and for a longer duration, or more ambitious, outing I would seriously consider reverting a a conventional camera. Finally, very sincere thanks to Tony for organising everything so superbly - including the weather!